Isle of Mull distillery Tobermory is marking its return to production after a two-year break with the launch of a new signature 12-year-old expression. Tobermory 12 Year Old was created using unpeated barley and is described as ‘being vibrant on the palate’. The release of the new signature expression comes two years after Tobermory closed its production facilities to replace its stills and refurbish its visitor centre. 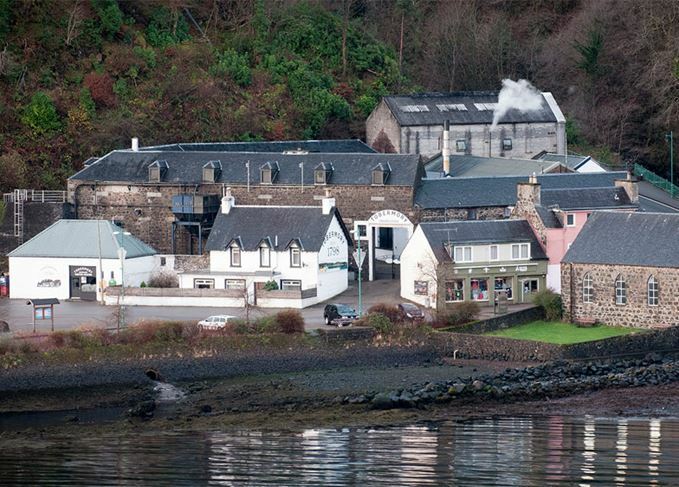 Distillery owner Distell said at the time that the refurbishments were needed to ensure that Tobermory could meet the increasing demands of whisky tourism. Two gallery events featuring Tobermory’s new ‘colourful Hebridean home’ packaging and first tastings of its latest expression will be held in London (27 March) and Glasgow (3 April). The events will also display artwork donated to the distillery by Catherine Ross, the first artist to complete Tobermory’s Artist in Residence six-week programme, and will be supported by photography from Euan Miles, whose work will also appear on the single malt’s packaging. Tobermory is the sole whisky distillery on the Isle of Mull, and runs two production cycles a year: the first for its Tobermory unpeated malt whisky, and the second a heavily peated version under the name Ledaig. The 2018 collection features malts from Bunnahabhain, Deanston, Tobermory and Ledaig.